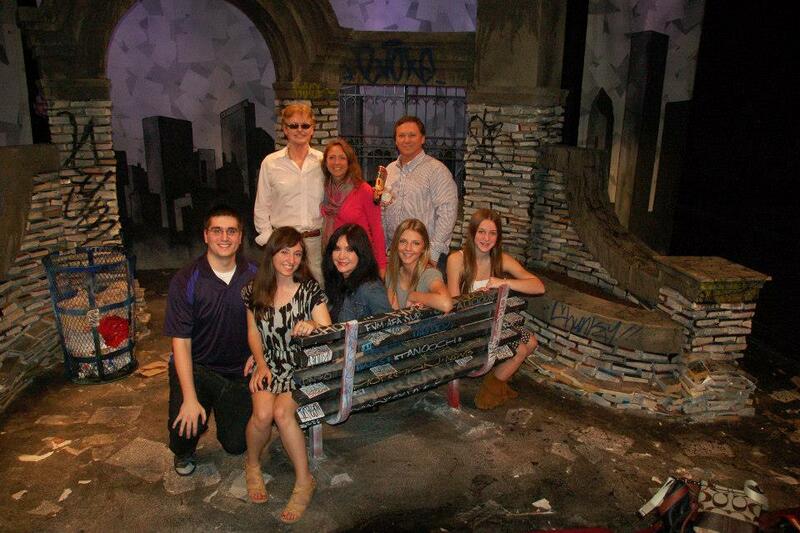 My family visited Chicago earlier this month to see The BenchMark, a play by my great uncle Richard Roberts (top left). My great uncle Richard Roberts wrote The BenchMark, inspired by two significant figures in his life: his father and an old friend. The cast took a final bow last weekend on closing night at the Athenaeum Threatre. So, for those who did not have a chance to read about or see this show, you missed quite the performance. 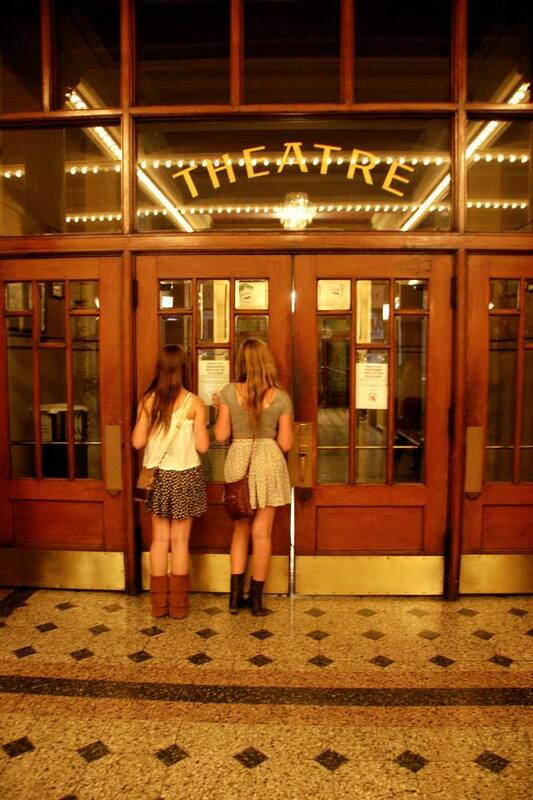 My cousins Samantha and Jordyn peer through a window at the old Athenaeum Theatre on Southport Ave. This old-fashioned, cathedral-like building was once an annex to a neighboring church. The BenchMark is based on a true story, chronicling the life of Mark; a sociable, eloquent homeless man who has a passion for reading. It was performed in a very intimately sized theatre, and my uncle encouraged me to sit right up front. I was no further than two feet from Mark. He spoke directly to the audience, making eye contact as he told us about his observations and reflections. He journeyed us through the summer, fall and winter, at times interacting with another homeless woman and the occasional pedestrian who would buy his newspaper or offer him a charitable gift. The eye contact was uncomfortable at first – which I assumed was an intentional acting direction or personal decision. Mark really did look homeless, with sweat dripping down his face and dirt coating his skin. So, when he looked right at you, he created an initially awkward interaction, similar to what we might experience when we first encounter someone living on the streets. But, he held that gaze and forced us to see him for the rather charming character that he was – beyond his unassuming appearance. We watched as Mark turned to alcohol and literature for solace when he tried to escape the harsh realities of life and the environment around him. His satirical speech underlined with social commentary, tragedy and raw humor elicited laughter and reflective moments of silence from the audience. A very simple stage with minimal props brought all the attention to the dialogue and acting. 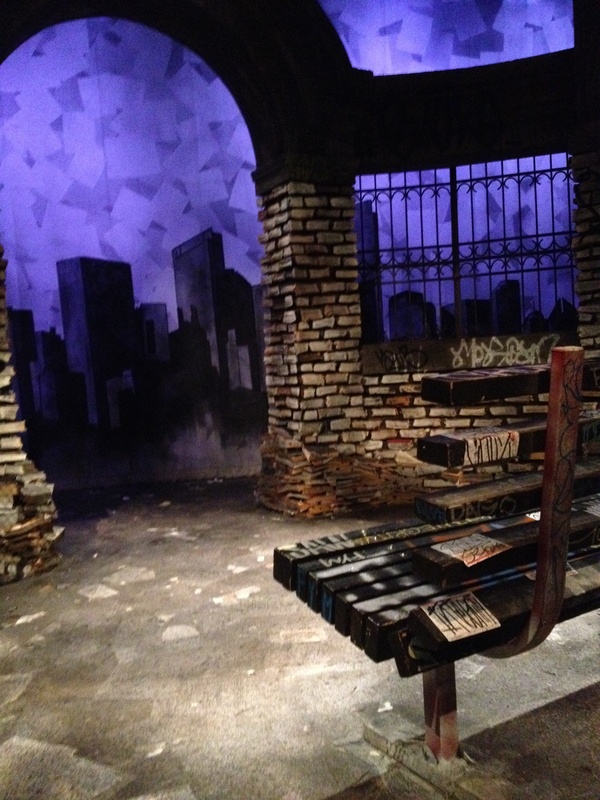 The set of The BenchMark resembled a busy corner in downtown Chicago. Mark’s character was built from memories of my uncle’s father, who was a periodically homeless alcoholic, but also an inherently intelligent man. I never knew my great grandfather, but I’ve heard stories of his best and worst sides. Mark is also based on a friend named “Wino Joe,” whom my uncle met while serving for the now-defunct Chicago Christian Industrial League homeless shelter. Wino Joe was a quiet man and a recovering alcoholic. One day, he shocked the volunteers after giving a rousing speech dedicated to a pastor who had passed away. He quoted Descartes and Shakespeare. No one knew he was educated. Over the years, my great uncle has become a rather familiar face in Chicago as an advocate for the homeless; but this play gave him a new outlet to tell the story of thousands people struggling to persevere, through the character of Mark. He used this character to challenge people to look at the homeless in a different way.